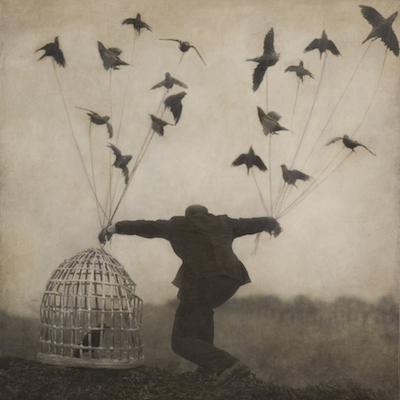 The Irish-American quintet The Gloaming launches its sophomore recording, The Gloaming ‘2’, licensed exclusively in Canada to Montreal's Justin Time Records. On the heels of its debut self-titled album issued in 2014, also licensed to Justin-Time, this follow up disc is further proof of the group's genre-stretching musical approach that expands beyond its roots in traditional Irish folk music. What distinguishes this group from other folk music ensembles is its surprisingly subtle sound, one quite removed from the usual foot-stomping fare associated with gigues and reels. Instead, they introduce a classical-like sensibility, such as in the gloriously emotional song of parting Slán le Máighe, or the mesmeric treatment of The Pilgrim’s Song, even in the instrumental The Rolling Wave, in which drifting piano work is intercut with fiddle dance tunes. Also of note is the personnel of the band that includes two Americans: New-York pianist Thomas Bartlett (aka Doveman) and Chicago-born guitarist Dennis Cahill. Irish fiddlers Martin Hayes and Caoimhín Ó Raghallaigh provide an authentic hue to the proceedings, enhanced by the vocals of Iarla Ó Lionáird. What results is a unique mix of musical sensibilities where contemporary classical, post-rock and experimental influences dovetail seamlessly into each other.